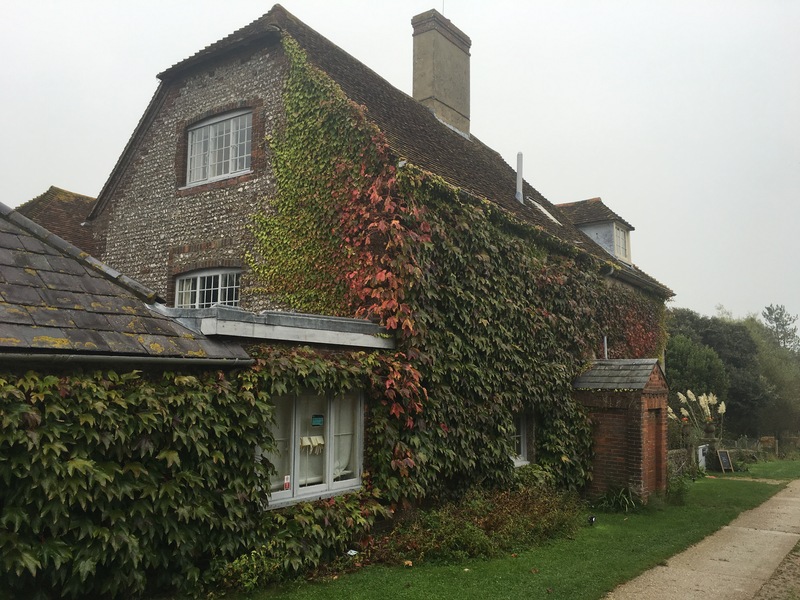 As I have already written I volunteer one day a week in the garden at Charleston Farmhouse in East Sussex. Having studied for and gained the RHS Level 2 Certificate in the Principles of Horticulture, I want to get some practical experience under my belt. 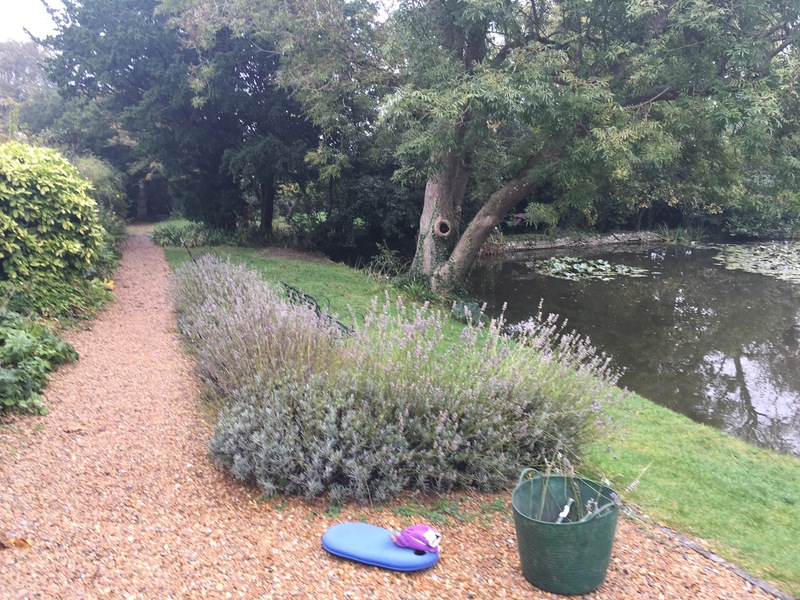 This week Fiona, the head gardener, set me to work trimming the lavender hedge by the pond – a favourite spot for visitors to Charleston to sit and reflect. It is a nice spot to work as you become aware of how active the fish in the pond are. Apparently some of them are real whoppers and every few minutes I hear a big splash as one pops its head above water then dives back in. They are particularly lively when they hear Fiona’s voice as she feeds them. 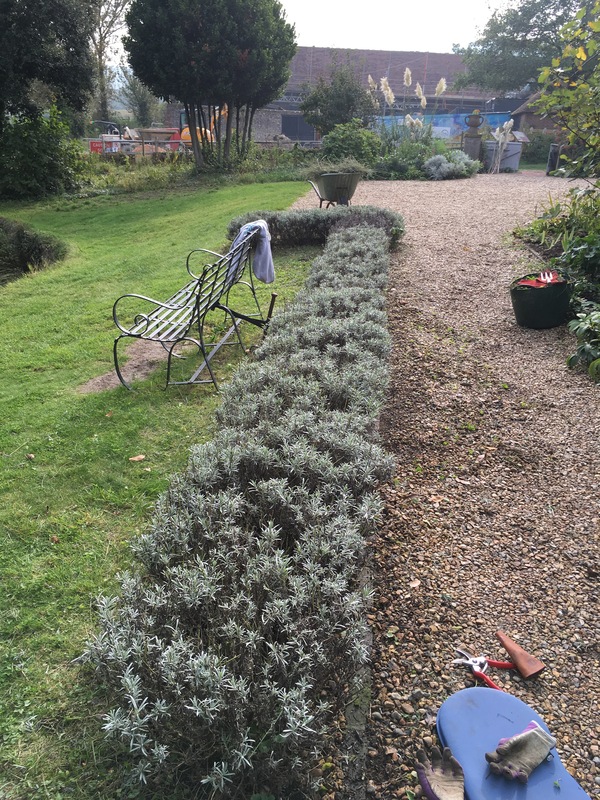 Fiona has told me to cut back the new growth and to make the lavender bushes as square as possible – which is harder than it looks using a pair of hand shears. There are lots of weeds growing under the lavender and I do my best to get them out but it is fiddly work. This week is the Small Wonder short story festival at Charleston and there is lots of bustle as people go back and forth setting up the marquees. They all comment on how wonderful the lavender smells as it is being cut. Finally five hours and a couple of tea breaks later – plus a quick weed of the irises I divided earlier in the summer – I am done – I’m still a bit of a slow worker; professional horticulture requires a faster pace than gardening for yourself; but as Fiona kindly says: less of a novice by the afternoon than I was in the morning.